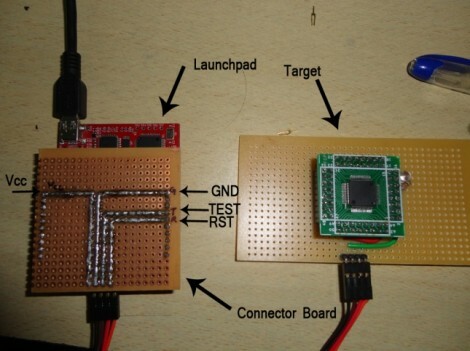 [Suraj] has been working with some larger MSP430 chips with won’t fit on the Launchpad board. But that’s okay because he built a shield and wrote a guide about using the Spy-Bi-Wire protocol for programming the chips. SBW is a four-wire interface. In the past we’ve used all of the board’s programming connections for in circuit programming, but the chips that support SBW only need a connection to the SBW and TEST pins (of course the other two connections are for voltage and ground). This shield brings the four pins together into one male pin header. In the image above [Suraj] is using the technique to program an MSP430F4152. His guide is Windows-based, but looking back, [Sprite_TM] shows how to use SBW when debugging in Eclipse.